As children of the 1970s and 1980s, we are always up for a good wedgy, boxy sporty car – as you’ve seen from various other features here on TTS like the Lotus Esprit and TVR 280i. We also have a soft spot for period Japanese cars. People talk about Japanese cars as having no personality or soul, but to me the older they get the more character they seem to have. These Celicas, like the contemporary 2nd generation Preludes (of which we have had three between us), the MR2, and the Nissan 200SX to name a few are sort of “junior” GTs, and are actually engaging, pleasant cars to drive. At a cost of about $17,000 new, the Celica Convertible filled a niche between standard Japanese sporty coupes and higher-end European GTs. This car represents the third generation of Toyota Celicas, and the last of the rear-wheel drive cars in the line. Handling is well-balanced, although the convertibles do feel markedly heavier than the hatchback or notchback versions. The steering has variable-speed assist which is a little numb at low speeds but at is firms up feels distinctly sporting. The interior is very 1980s Toyota, which is to say that angles and acres of plasticky plastic abound. This car has had substantial interior refurbishment, but looks very presentable. Likewise the paint is recent – hopefully not masking horrific bondo-laden metalwork. The aftermarket stereo is unfortunate, but is most certainly an improvement in sound quality over the factory unit. Being a double-din chassis, options for audio upgrades are somewhat limited. 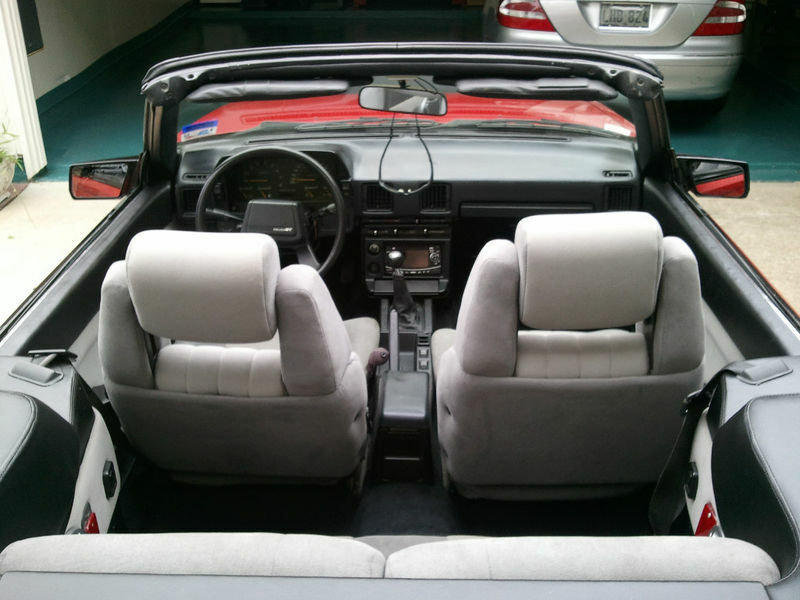 The seller reports that the convertible top, heat and AC work, making this a very usable car year round. The 105hp 22R-E fuel injected motor is a little underpowered for the bulk of the car, achieving 60mph from a stop in a leisurely 11.5-12 seconds. Someone interested in keeping this car for the long-term could likely find some improvement through either performance upgrades to this motor or JDM engine upgrades. We like the Celica GTS models for their wider-than-stock stance courtesy of fender flares and very wide (for the day) 225/60/14 tires on nice alloy wheels. It’s also great to find one of these in good condition that has the 5-speed manual transmission as opposed to the lethargic automatic. Again, you’re not going to win top dog at the drag strip, but there are far worse ways to spend a Saturday in the rolling countryside – top down, music playing, and the whole family on board. In addition to the cosmetic work, the recent mechanical work to this car makes it very appealing. The seller indicates that the clutch, brakes, exhaust, tie rod ends, and so forth. All this work, however, and the associated expenses make me wonder why the seller is selling at what I have to figure is a not insignificant loss. On the surface, his loss could be your gain, but it’s worth checking out thoroughly. The other thing to bear in mind on these cars is that 15,000 mile valve adjustments are critical, so regular maintenance should factor prominently in the decision to buy one. Ultimately, while 3rd generation Celicas once littered the streets, they are unusual these days to say the least – all the more so in convertible form – and the represent good fun for the whole family (assuming four or less of you!) for less than five grand – and with Toyota reliability. How can you go wrong? 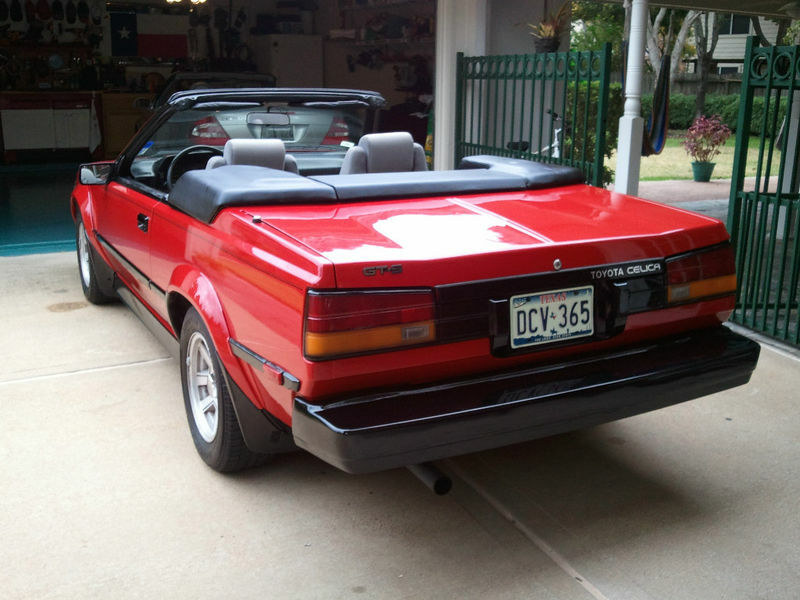 This entry was posted on Friday, December 23rd, 2011 at 11:08 AM	and tagged with Alfa Romeo, Azzura, Bertone, Celica GTS, Convertible, Fiat X1/9, Honda Prelude, Lotus Esprit, MR2, Nissan 200SX, Pininfarina, Spider, Toyota, Triumph TR7, TVR 280i and posted in Totally That Stupid. You can follow any responses to this entry through the RSS 2.0 feed. Sweet Celica; that’s a real classic right there. Looks smashing in red; perfect for cruising with the top down. Never seen a Celica convertible before; they must be very rare indeed. Looks gorgeous in red. 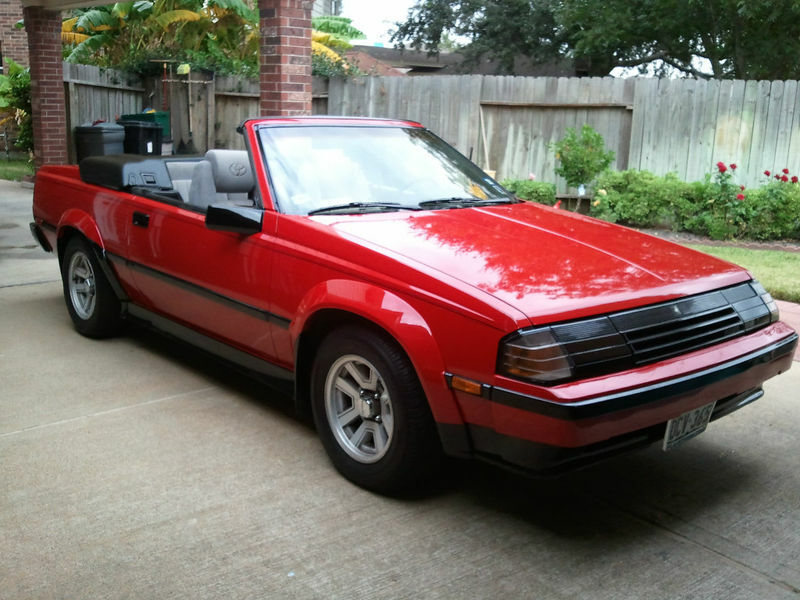 I have a red 1984 Toyota Celica GTS convertible for sale. 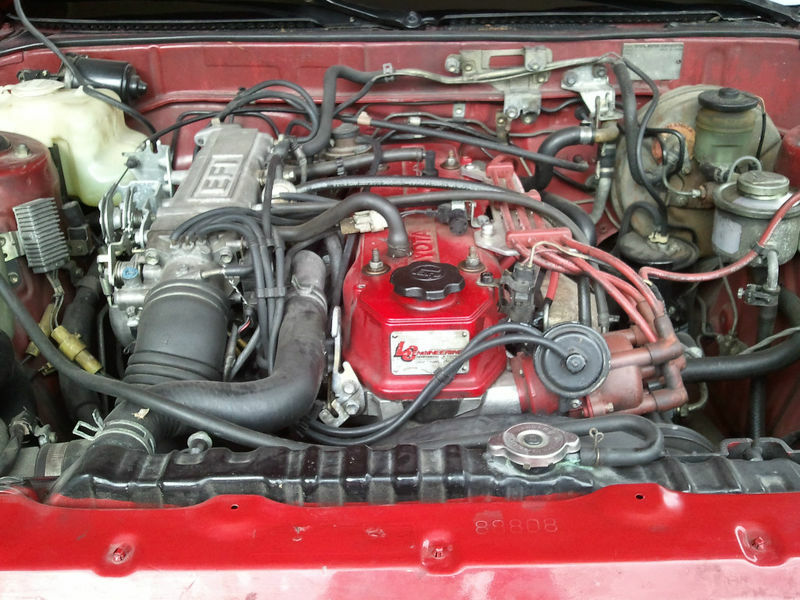 its in good shape, runs good, 286 k miles with rebuilt engine. its a 5 speed, AC blows cold, original cassete player, clean tittle, for more info or pics please contact me at 209 261 0969 call or text. Herm, it’s called the “parade cover”. Great Car, I have an 82 Celica Supra. Do you still have this car?